The San Francisco Bay area is a wonderful place for enthusiastic pet owners to live. From pet-friendly beaches to “Cat Yoga” sessions at San Francisco’s KitTea Cafe, we really know how to show our furry friends the good life. This sentiment is echoed in the vast number of independently owned pet boutiques scattered throughout the Bay area. Whatever your individual needs, you can be sure there’s a local pet boutique with the answer. When it comes to our pets, only the very best will do. Use this comprehensive list to discover a local pet boutique that addresses all of your pet care needs! After witnessing the dramatic improvement in his cat’s health once he implemented a raw meat diet, Jeffery Dotson’s mission was clear: to provide other pet owners with fresh, raw, antibiotic-free foods and supplements prepared daily using locally sourced ingredients. If you’ve ever considered starting your cat on a raw diet, this is the pet boutique for you. This family-owned pet boutique in the SoMa District focuses on providing wholesome, nutritional food for cats and dogs. Among other healthy options, Woodlands carries Primal pet food, a local raw foods company. For cats, they also sell CBD treats, sprayable catnip, and waterless shampoos. The Animal House specializes in holistic foods and high-quality novelty items for your pet. Owner Megan Johnson thoughtfully selects merchandise with your pet’s well-being in mind. Involvement with the local community is another top priority for this exceptional pet boutique. 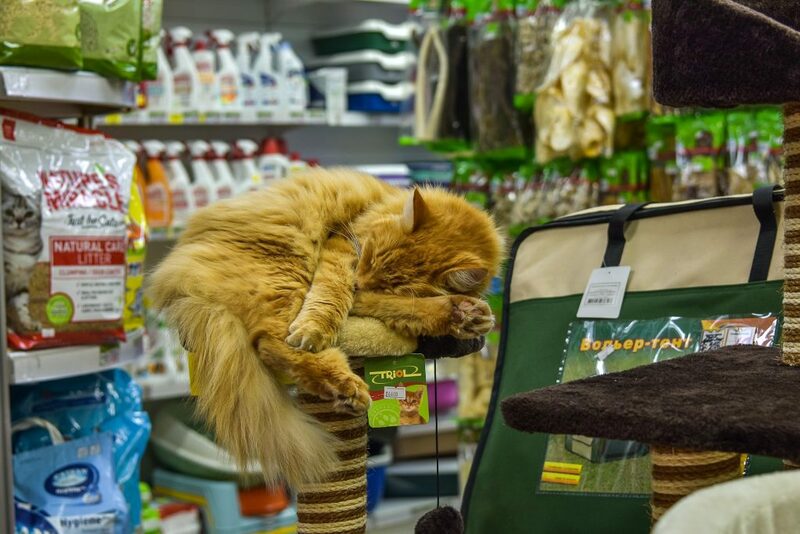 This cleverly named supply store carries a wide selection of cat toys and cat food, including Fromm Family Pet Food – a family-owned artisan pet food company that produces small batches of food and treats in Wisconsin. Owners Diane Pfile and Ruth Villasenor are passionate about offering pet owners products that have their personal stamp of approval. According to their website, they “carry herbal remedies, CBD treats, tinctures and homeopathic flower essences to boost the immune system, to aid in recovery, promote longevity, to relieve stress and anxiety, and for behavior modification.” This Dimond District boutique also offers stress-free grooming services, a self-service bathhouse, and anesthesia-free dental care in partnership with Waggin Smiles. When it opened in the 1950’s, Andy’s became the world’s first pet shop with 100% rescues – even the guinea pigs! Andy’s proudly busts the myth that cheaper prices can only be found at the big box stores. They also team with local pet rescues to sponsor on-site adoption events, as well as classes and volunteer opportunities. Pets are always welcome in this cheery, health-conscious shop.Cal’s Pet Supply is committed to offering the highest quality pet food, and they stock pet treats from local Bay Area vendors. With two locations in the neighborhoods of Potrero Hill and South Beach, this mom-&-pop shop opened its doors as a way to educate consumers on the benefits of an unprocessed, whole foods-based pet diet. With an emphasis on local vendors, raw foods, and holistic healing, this Bay area pet boutique also provides local delivery services and self-service bathing stations. 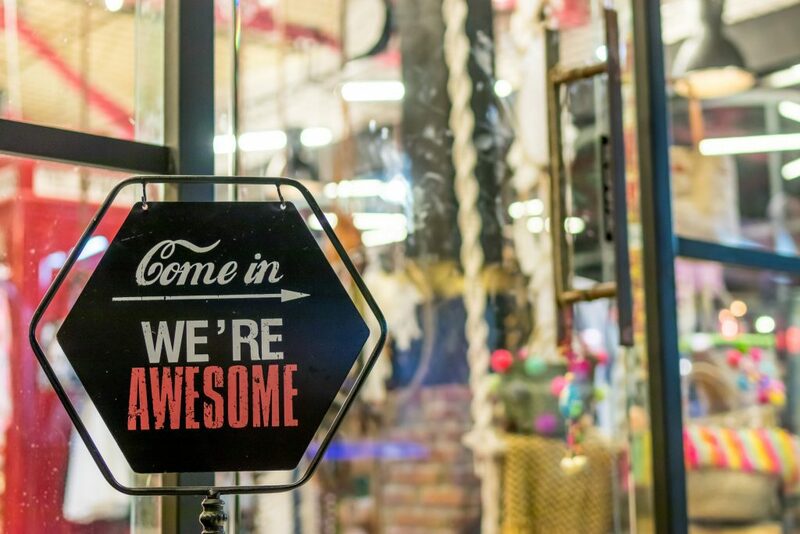 Located in Menlo Park, this award-winning shop focuses on warm and engaging customer service. Owners Mark and Lynn Macy share a lifelong passion for holistic petcare. This husband and wife team are committed to building lasting relationships in their community while helping local rescue animals through weekend adoption events. Located in Bernal Heights, this shop boasts a hefty supply of organic, raw, and natural pet foods. They also carry natural supplements and treats, self-service bathing stations, an online pet store with discounted autoship, and recommendations for local sitters and groomers. This family-owned shop in the Richmond District is dedicated to educating pet owners about nutrition by helping them select the appropriate diet for their pets. Their website positions their staff as experts in natural cat nutrition, and they present a handy list of cat food ingredients to avoid. It’s always the right time to give your cat (or dog – we don’t discriminate!) some love while supporting local business owners by checking out a local pet boutique. You may learn something new from their knowledgeable staff, or perhaps you’ll meet that one perfectly loveable rescue kitty to complete your happy family. Did we fail to mention your favorite Bay area pet boutique? Share it with us in the comments below!